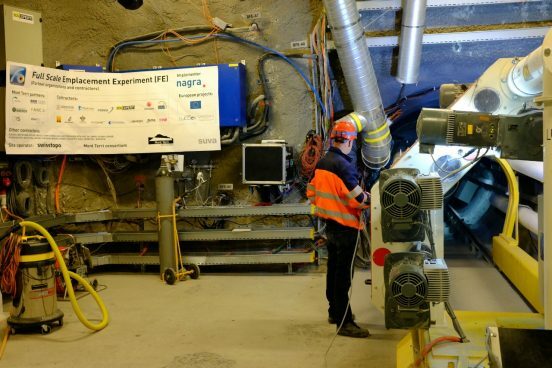 Can the rock laboratory be converted to deep geological disposal? No. That is not possible. The rock laboratory is used only for research purposes. There can be no question of the disposal of radioactive waste here. That is part of the contractual arrangement with the Canton of Jura. What is researched in the rock laboratory? Research is separated into individual experiments, differentiated according to the following types: Development of methodology, e.g. test performance and related analyses; Characterisation of Opalinus Clay, e.g. understanding the chemical and physical processes in the Opalinus Clay at the laboratory and investigating the relevant properties and Parameters; Demonstration experiments. Here, tests on a 1:1 scale can be carried out over a long period. 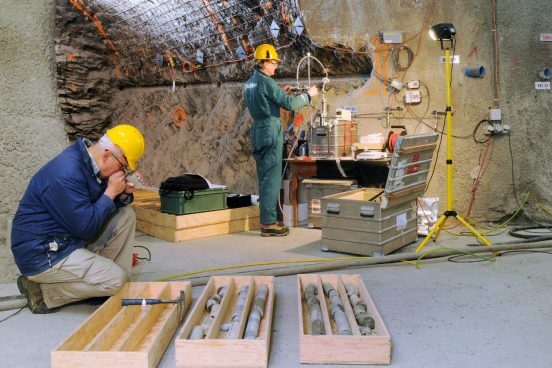 Generally, the experiments in the rock laboratory provide a significant body of knowledge about the feasibility and safety of deep geological disposal. 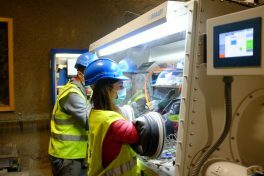 Why clay for a deep geological disposal facility? 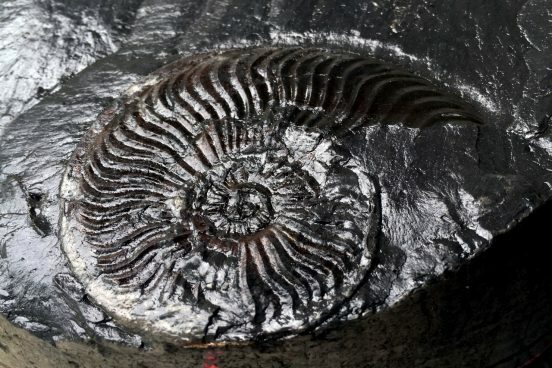 Argillaceous rocks are suitable as a geological barrier for the long-term encapsulation of radioactive waste. The three most important characteristics are: Retention of radionuclides at the clay mineral surfaces, very low permeability (no transfer of radionuclides by flowing water), and the ability to self-sealing of cracks and fissures by swelling. Is it possible to visit the rock laboratory? A. Bagnoud honoured by SCNAT for his work in Mont Terri. Congratulations! May Saint Barbara protect us for another year! The expansion of the Mont Terri rock laboratory in St-Ursanne has officially started. 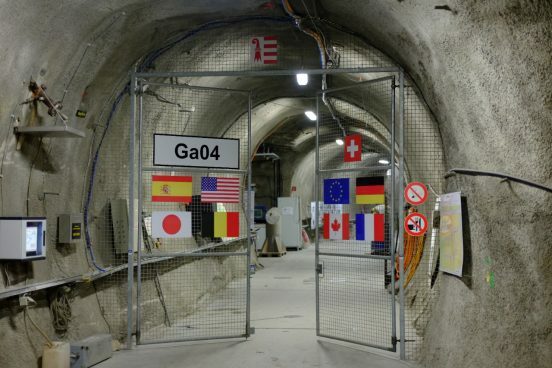 In just under two years, the research facility will have an additional 600 metres of tunnels and niches for experiments. 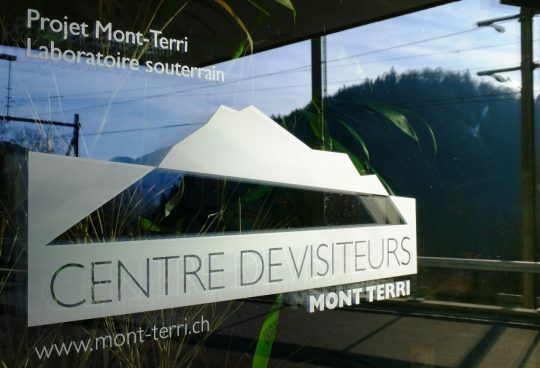 From 2018 to 2019 the Mont Terri rock laboratory will be extended. Here, you will find more links and information about it.